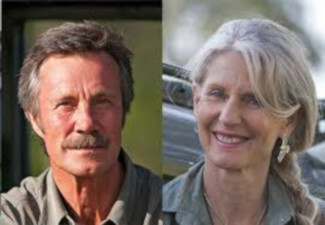 Jonathan & Angela Scott are perhaps best known for Angie’s prize-winning photography and Jonathan’s co-presenting of the annual Big Cat Diary show on BBC & Animal Planet. Big Cat Diary was one of the BBC’s longest-running shows from 1996 to 2008, and it’s not over yet – in 2017, Big Cat Legacy is being filmed for Animal Planet. Jonathan has also co-presented Elephant Diaries, Big Bear Diaries, Lions: The Truth, Wild Things and many other similar programmes. Angie has been stills production photographer for many of them. Jonathan and Angela married in 1992 and have proved to be a prolific partnership due to their shared passion for filming, photographing, leading exclusive travel tours and creating books. They are the only couple to have separately been named Overall Winner in the Wildlife Photography of the Year Competition, the most prestigious award of its kind. Their multi-award-winning images have appeared in books and magazines around the world, including National Geographic, Geo, Geographical, BBC Wildlife, Digital Photography, Outdoor Photography. They are both UK Patrons of the Galapagos Wildlife Trust. Jonathan is also UK Patron of the Rhino Ark, the Cheetah Conservation Fund, and The Simeon Trust, a long-time member of both the Editorial Board of the East African Wildlife Society and the Conservation Board of Friends of Conservation, and a member of the African Lion Working Group which is affiliated to the IUCN Cat Specialist Group.